Well, we’ll see how I do. 1. Maintain this blog, and preferably improve it. Kinda important if I’m going to revisit this on 12/31/2007, eh? 3. Get a test of concept for Voyages up and running. Copyright: (c) 1982 Iron Crown Enterprises, Inc. If there is ever an award for the RPG system that best represents the phrase “More Is Better”, Rolemaster will be the title to beat. From it’s inception, this has been the game that tried to provide detail and resolution options for Everything. Three revisions (at least), dozens of expansions and alternate settings… if you need some inspiration on possible ways to handle anything, anything at all, the Rolemaster line has always been a good place to start searching. Two very similar posts from rather different perspectives at Virgin Worlds and MMORPG.com: “Maybe Progress Quest wasn’t that far off” and “Casual Play: Lowbies of the World, Unite!”. The Virgin Worlds article talks about growing frustration, subsequent bouts of alt-itis, and finally discontinuation of play well before the “end-game”, resulting from reaching the point where “I no longer feel that I can make progress in a typical gaming session”, a period of about 2 hours for the writer. Here you have an “Achiever” perspective and an “Explorer” perspective, both largely admitting (paraphrasing here) that the “end-game” is usually a waste of effort on the devs part as far as they are concerned… they never see it. Additionally, the comments following both posts are largely supportive as well: “You’re not alone”, “Can I get an Amen!”, and so on. Lessons are a special category of Knowledge elements that can be used by players to develop the more generally useful elements named Concepts. In short, a character develops Concepts by “contemplating” Lessons, i.e. spending time with the Lesson in the Concentration bar. 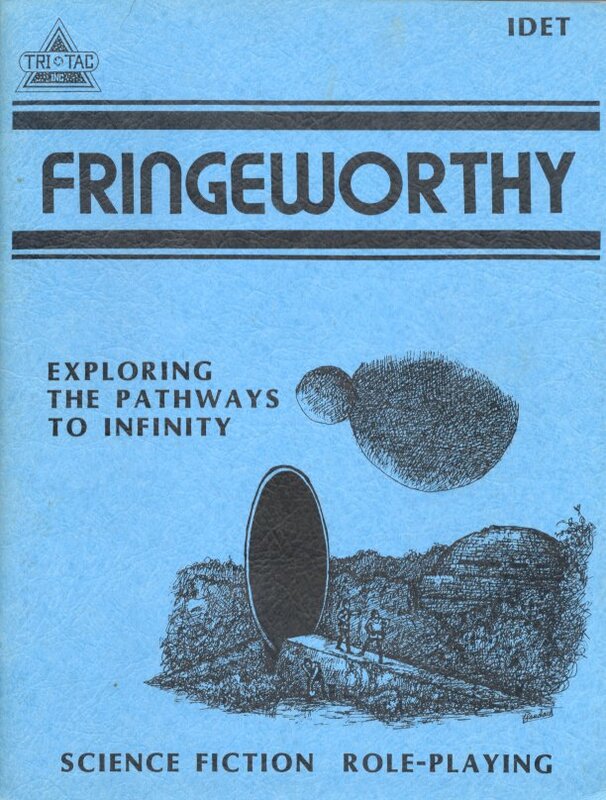 Fringeworthy is a detail-packed game system first published by Tri Tac Inc. back in the early 80s. I like this title (and it’s close cousin that I happen to own, Bureau 13: Stalking the Night Fantastic) for the sheer volume of data provided on a variety of topics. 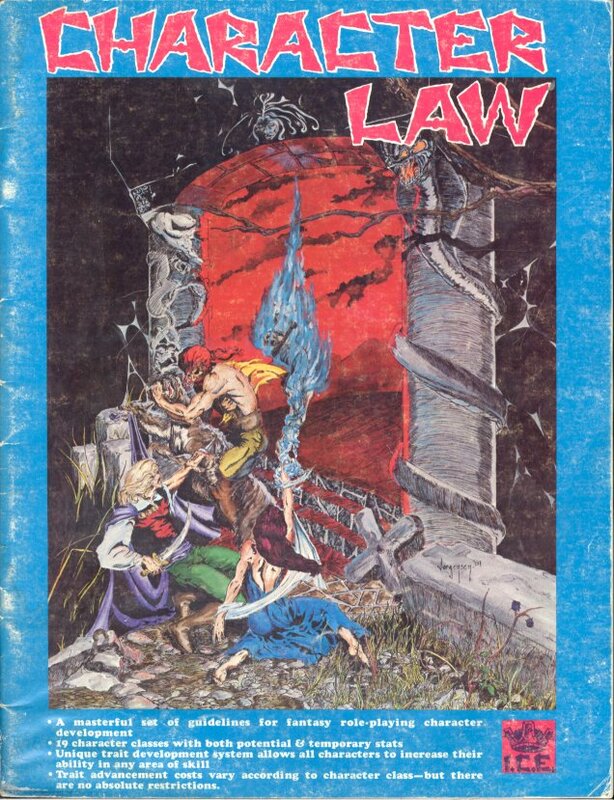 The ’82 version can seem dry and chart-laden at first casual glance, but taking the opportunity to truly think about any randomly selected page can lead to some interesting extrapolations… the type of thing I truly love to find in an RPG rulebook. Anyone else think that’s an indication that maybe you should get away from everything for a bit? Raph has announced his new endeavor, Areae, being entertainingly mystifying about the details. Even the various announcements and interviews give little direct information about what Areae will actually be making. Not as cool as a Gamma World MMO would be (I want my dual-brain methane-propelled mutated cactus! ), but it could be fun anyway. Damion mentions it on his blog, with links. Raph did as well. This gives me a perfect opportunity to pick a trivial nit with Mr. Schubert’s AGC presentation “Men in Tights” (about the only one I had, actually). One of his points was that “You don’t need fantasy, but you need a world that’s inviting”. The first slide was a shot of the gang on the TV show Cheers. The next slide was a prototypical “city in flames” shot. Despite the excellent point (and a nice little sight gag), a city in flames is no more representative of the entirety of a post-apocalyptic setting than a snapshot of Hell (or nearly any “end-game” instance/setting) would be of the entirety of fantasy. The basic point is well-taken… but I’ve been a little worried that it would be taken too far. Whether Interplay actually makes it to release or not ($75 million? ), at least the idea is still out there. A comment on the thread at Zen of Design also brought up an interesting point. I do hope they don’t get caught up in the “everything is a desert” concept from Mad Max/Road Warrior. The original RPGs didn’t… hopefully they hire designers who do more than review promo shots from Road Warrior, or worse, Beyond Thunderdome. (There’s always Waterworld, I guess… -shudder-). Just a heads up: there’s a great inspirational article in this week’s Escapist for those of us looking to build MMOGs without offing a rich eccentric relative. Of course, the entire thing is excellent, read it all… and subscribe for the newsletter while you are there, it’s always a good read. Also, added a few new links to the blogroll, each with a ton of great design musings to be perused and contemplated. Visit the Rampant Coyote and Mike Rozak’s site when you get a chance.